When an individual is done with personal financial assessment, goal setting, budgeting, development of financial plan, and its initial execution, then it does not mean the battle is won. In fact, the difficult part is yet to come. The budget changes every month, the expenditure is always more than expected, market is full of banking options and products, and the financial changes are happening at a very fast rate. So, in such scenario how can one think of winning the battle of personal finance management? It is not the thing of a day or a month or even a year, this is the thing of everyday, throughout the life. 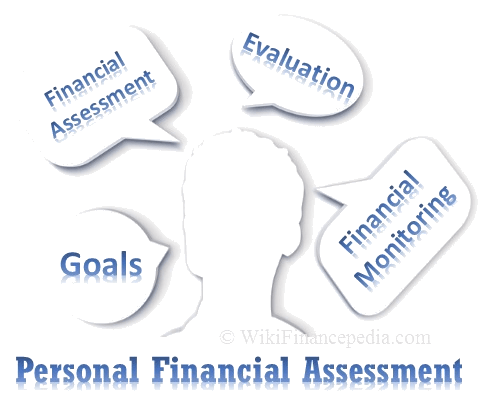 Next comes is the long phase of personal financial assessment evaluation and monitoring. It’s an ongoing process as it is dynamic process that requires the continuous monitoring and readjustment of financial plan as well as goals. An Individual has to come up with some strategies or techniques through regular financial assessment to improve on it. You will have to keep trying best techniques that suits your personal financial goals. Here are the few tips which will help you to keep on monitoring and financial assessment. Just like the financial planner, there are some professional who work around specifically debt management. Always remember, the market is full of financial products, and someone who is dealing with those products on a daily basis for last several years have better insight into the whole thing. So, it is also advisable to consult debt management planners to pay off all that heavy and annoying debt. Financial consultant is a person who advise and provide you best ways to draft your financial goals. Financial planner is professional who prepares the financial plan for people. Sometimes in life when it becomes affordable, every individual should hire a financial planner. As he is the person who is into the profession of making a financial plan, so chances are very high that such person has more, wide, and diversified knowledge around financial planning and can draft a better financial plan. This is one of the most important things one should keep on doing. Learning various banking options which he may have, comparing two similar products of same company / bank or the different company / bank, intentionally acquiring knowledge of new finance products etc. are the most common activities for the better personal finance management. All these activities encourage reassessing the whole plan. The Internet has grown to a quite mature level, and today, we have lots of free as well as paid tools online which can really help us in our finance management in a big way. These tools could be the best thing when it comes to personal financial assessment and monitoring. This discussion just can’t be complete without mentioning few most popular online financial assessment tools. Yodlee – Another great personal financial assessment tool website to manage money online. YouNeedaBudget – This is an awesome financial tool website which helps in creating a budget and pay off debt. Pocketsmith – This financial planning website focuses on calendar-based planning, compare the monthly and annual earnings with the expenses. Stick to a monthly budget is probably the most important thing to do for better monitoring and financial assessment. This exercise should be repeated in the last week of every month. All the companies, especially banks have last 2 days of every month as closing days. They do all the mathematics that includes the assessment of sales, expenses, and other important things happened during these closing days. When banks can do, then why should not an individual? Every item added or removed from the financial management plan create smaller to the bigger impact on the whole thing. So, it is important to reassess everything after an item is added or removed. One needs a serious dedication, discipline, and determination on the continuous basis to monitor and reassess all the aspects of financial life. One of the best friends which can true motivate and keep an individual monitoring and personal financial assessment things on a continuous basis is the goals which he has chosen. So, goals must be inspirational and motivating in their own way. And this is possible when a person chooses goals very carefully. The requirement of regular monitoring and reassessment is huge, so keep on doing that on a daily basis.